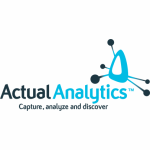 Actual Analytics is a leading provider of behavior analysis solutions for scientific studies. Actual Analytics is committed to creating high quality, accurate, and easy-to-use solutions that customers and researchers can depend on. ActualTrack™ allows users to produce more sophisticated analysis and more reliable results, allowing them to publish more, faster.